William Samuel reveals the unebbing strength and power of happiness here and now, of tranquillity, peace and true understanding that is your authentic Identity. 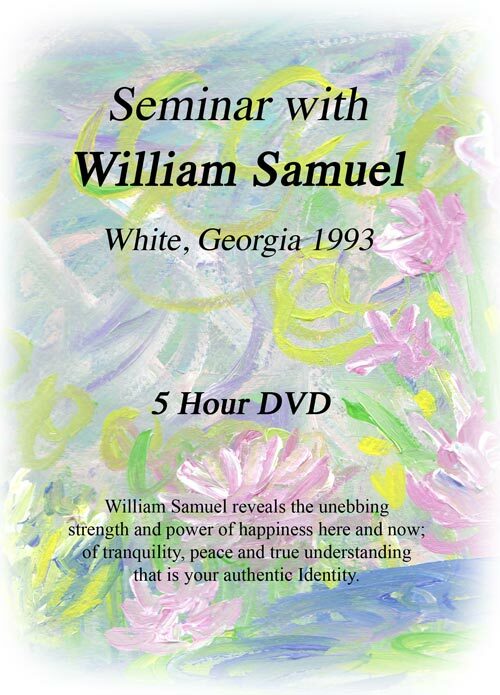 William Samuel gave a weekend seminar in White, Georgia in May of 1993. The Talk was video taped by PBS for their TV programming. However, 12 days before these talks were to be given William suffered a stroke. His condition made him frail and his physical situation seemed dire. Despite the debilitating conditions Mr. Samuel found the strength and fortitude go forward with the talk. Now, we are privileged to have this timeless and exceptionally marvelous taping on DVD. 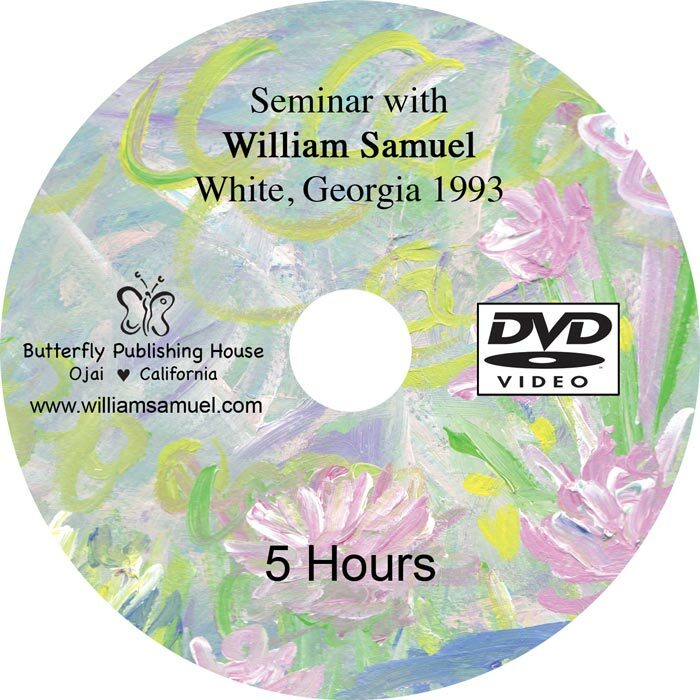 You can witness for yourself how the Light of Truth Lived brings Its Grace to restore William Samuel as he shares with his audience this Childlike Wonder and Joy that lifts everyone in attendance. 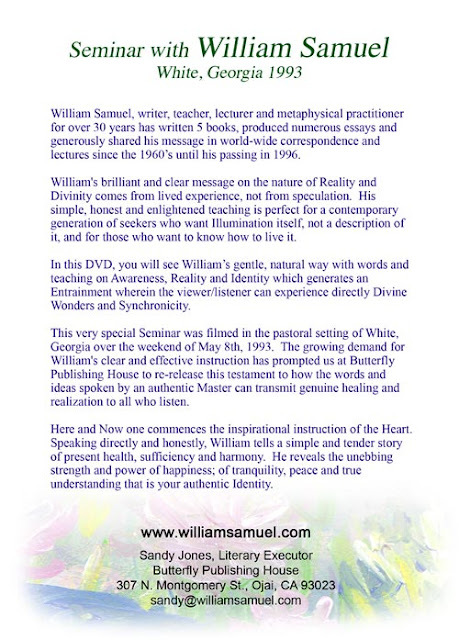 William Samuel- lecturer, writer, metaphysical practitioner and legendary modern day mystic- studied and practiced the spiritual nature of Reality and Identity since the 1940s. He has written and produced five books, numerous essays and tapes and gave lectures for over 30 years. Bill writes and speaks from lived experience not from speculation. His works, in simple and direct language, reduce the complexity of other metaphysical, mystical and spiritual writing into a language for the average person. Without publicity or promotion his works have found their way into the hands of folks around the world. We get a glimmer of The Eternal Unbound Child. In this video you can see the Truth that shines out brightly in his words and from ‘behind’ the words.